Carmatec is one of the distinguished React JS development company based in USA, Middle-east & India with its development centre strategically located in Bangalore, the IT hub of India. With this well thought-through location, we are capable of hiring the crème-de-la-crème of the development talent available in the market. With our competitive pricing for the best talent and convenient location and round-the-clock availability, our development has proven track-record in the market in terms of high returns on your investment and the level of customer satisfaction achieved. No wonder why all our React JS clients vouch for the development expertise we impart for equipping their business with this technology. What is React JS Development? Created by Facebook and Open sourced in 2013, React JS has come a long way ever since and has become quite popular, owing to its efficiency with developing the frontend of the applications. No wonder why it is being adopted by even the biggest names in many industries including the likes of Yahoo!, AirBnB and Netflix. 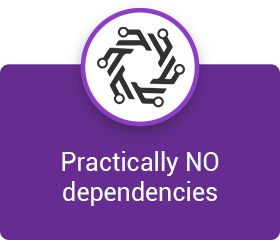 With a technology-agnostic approach that React follows while making no assumptions about the rest of your tech-stack, it is rather convenient to test it while building a small feature of your current project. 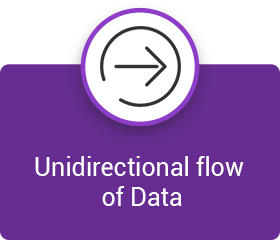 The way React employs a unidirectional flow of the data, it helps reduce the boilerplate making it effortless to justify when compared to the traditional data binding. 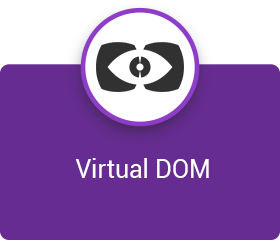 React abstracts away the DOM from you, imparting a simpler programming model and improved performance. It can also render on the server using Node, powering the native apps with the use of React Native. If you need a website or an app that needs to be categorized into a number of components, you might want to opt for React JS. Need a fast application, despite having lots of data? You must go for React JS solutions. We have one of the early-adopting teams in the industry for the combination of Ruby on Rails and React JS to build your application efficiently and cost-effectively. Looking to build your application using React JS/Ruby on Rails or a combination of both the technologies? Carmatec provides you with all the required expertise under one roof. 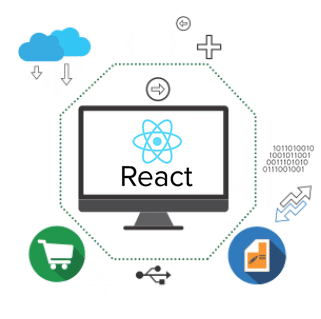 Why hire Carmatec for your React JS development Outsourcing Services? With a development centre strategically located in Bangalore – the IT hub of India, we have our Project Management Presence and Support available in multiple countries including USA, Dubai and India. Regardless of where you are located, we provide you with cutting-edge development expertise backed by constant project management support. Equipped with the best of the talent in the industry, our development team possesses the right skills and business insight to offer the best quality React JS solutions. Being an ever-evolving organisation with over 15 years in the industry, naturally makes us one of the early adopters of the technology with experience in providing development services to global businesses. Our Ruby on Rails team started developing Rails applications since the advent of the technology and they adopted the combination of Ruby on Rails for the backend and React JS for the frontend early on, for smart and efficient development of your application. Having worked on challenging React Applications for diverse industries and type of organisations, we specialise at building complex React based Applications. With the access to the right development tools and the best libraries to develop React Applications, our team is well-equipped to build production-ready React JS applications. Our React JS Developers have built several abstractions with the reusable React Components. For your application, these can be easily integrated based on your requirement making the development time lesser.